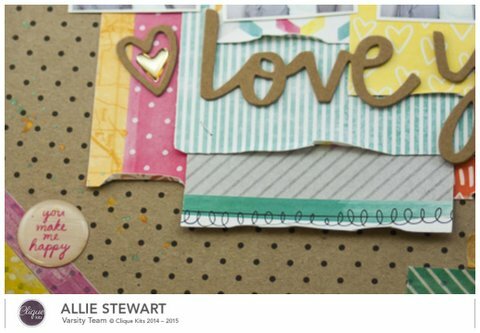 I have a layout on the Clique Kits blog another fun way to use photo strips! Between our own wedding and the last few wedding seasons, I've collected quite a few photo strips. Sometimes, however, the long, vertical, line of photos doesn't work for my page. This was the case when I was using the May Carnival kit. I loved the colors and the sentiment on the journaling card, and I wanted to use the photobooth strip, but it just wasn't working. I decided to do the unthinkable: I cut it up!! By taking scissors to my photo strip, I was able to have several smaller photos that were easier to work with than one long piece. 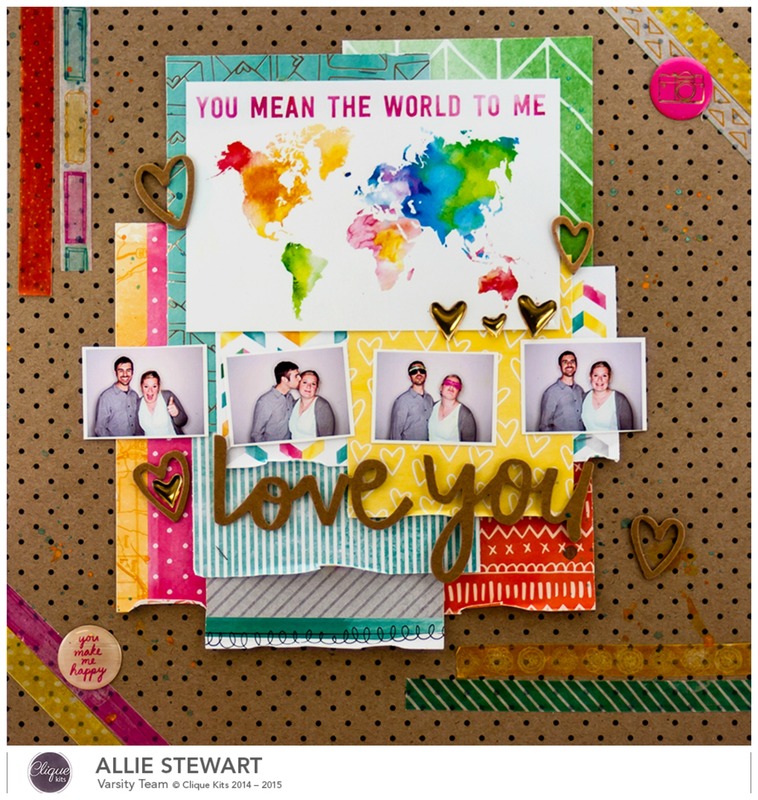 This is a great way to get more photos on your page, and to use the trendier smaller size photos. I also have a tutorial on how you can create your own photo strip here for easy printing if you'd like to try this at home! For the rest of the layout, I used as many of the patterned papers from the kit as I could! 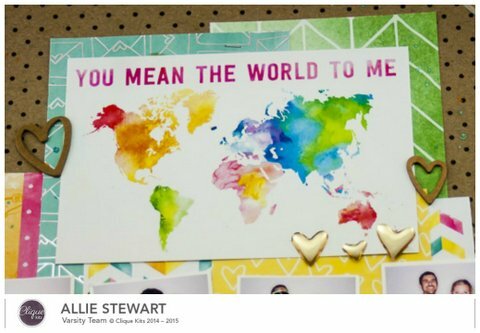 I wanted it to coordinate with the beautiful rainbow map, ad to be fun and happy, like our photos. To add some texture, I bent the ends up at the bottom. Next, I added the fun washi strips on each corner, and the adorable puffy stickers!! I hope you feel encouraged to cut into any photobooth pictures you might have lying around. If cutting them up scares you, you could scan them in, and cut into a printed copy instead of the original. Either way, it's a fun and different way to use them up! Have a wonderful day!